The law firm of Woody Law Offices, P. C. can provide you with high quality, legal representation that provides for timely and cost efficient estate administration. Woody Law Offices, P. C. are experienced estate administration attorneys whose goal is to enable families to move forward without complications or delay, in legal or financial matters after a loved one has passed. It is important to provide compassionate and responsive attention to all parties so all matters can be settled amicably. Probate is the process of passing the assets of a deceased person to loved ones. 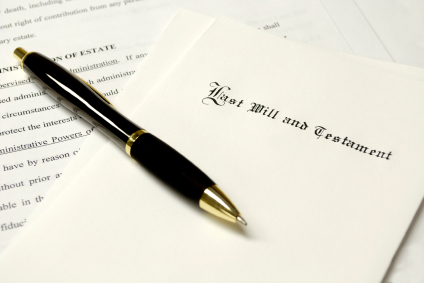 It involves presenting the Will to the Court so that a representative, called an Executor, can be named by the Court. If there is no Will, an Administrator can be named by the Court to deal with the details of the deceased loved one. The process of probating includes collecting, inventorying and appraising assets, paying and collecting bills, and distributing remaining assets. What is the role of the Executor? The Executor is the person named in the Will to carry out the decedent's wishes as expressed in the Will. The Executor is responsible for getting any real estate owned by the Decedent appraised and paying legitimate estate debts. The Executor would also need to locate important documents such as life insurance policies, bank accounts, pension providers, and any other legal documentation necessary to process the estate. What is an Estate Dispute? It is when problems occur during the administration of the estate. A number of different issues can arise among family members during the administration of the estate which could result in Court litigation.